SmartMoto Flash/Repair Manual. Smart-Clip is a professional device for unlocking cell phones. As soon as S-Card dongle and Smart-Clip are connected to PC, SmartMoto is ready to operate. To run SmartMoto under Win2000/XP and to update Smart-Clip, please launch SM, open bookmark "Smart –Clip" and tick the option "Disable OS parallel port polling (requires reboot)". After that – PC requires to be restarted. SmartMoto supports 4 flash file formats: *.mfw, *.mbk, *.smf, *.smb . No other formats will be compatible. Connect handset to PC via Smart-Clip (phone > USB cable > Smart-Clip > LPT cable (or Smart Adaptor) > PC). 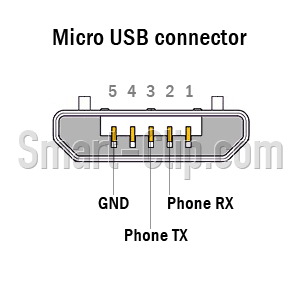 Choose "Smart-Clip USB port" in phone connection field. SmartMoto detects the handset and reads phone information. Press "Browse" to select the flash file. Message "Flash completed" appears at the end of the process. After successful flashing is recommended to perform Master Reset and Master Clear procedure form the phone's menu. reflash.mfw - meant to be used for upgrade of software. No data will be lost from the phone. Other words, all downloaded pictures, ring tones, contacts won't be erased from the handset memory. flash_flex.mfw - meant to be used for upgrade of software with change of flex (change of basic setting, e.g. working frequency band). Some data could be lost from the phone's memory after flashing. full_flash.mfw - complete change of firmware including the EEPROM. All added data will be erased from the memory. Sometimes during work with different types of flash memory chips, Block record method does not work. In this case it's possible to work with slower but easier and more reliable flashing method - "word" flashing method. Such method takes up to 3-4 times longer to flash, but allows to work with wider variety of microchips. We recommend using this method in case of problems with block method. This option is required for flashing the handset with full_flash.mfw file while boot core has to be repaired or changed (downgraded). This option allows the SmartMoto turning the handset off right after the flash process finished. This option is ticked off by default. It allows you to check whether software IMEI was patched by third-party software. Allows you to accelerate execution of operations in the phone. Certain flash memory chips have issues with block programming method. In this case it's possible to work with slower and more reliable flashing method - "word" flashing method. Such method takes up to 3-4 times longer to flash, but allows to work with wider variety of microchips. We recommend using this method in case of problems with block method. With this option flashing process is accelerated by avoiding reprogramming if the data to be programmed matches the existing data. This option allows you to work with “CUST PARA” area in the firmware. If "Upgrade firmware" option is active, then "CUST PARA" area will be preserved (i.e. backed up and restored after flashing), so phone will use that data. If "Upgrade firmware" option is inactive, this area will NOT be preserved, and the phone will use default data. Note that options "Upgrade firmware" and "Write full raw backup" are mutually exclusive. *.mbk - flash backup created with Smart-Clip, S-Card together with SmartMoto. Message "file.mbk saved" appears when the process is completed. Press "Browse" to select the flash backup created from another handset. Select the original PDS backup (can be recognized by phone’s IMEI). The handset is ready for operation. To perform Save/Restore Backup process some phone models with higher boot versions might require TestPoint connection method or the Prepare cycle to be performed. To get more detailed information, please log to UNLOCK manual. In any case do not overwrite security area with the security file from another handset. We strictly recommend not to flash the phones with backup flash files received from other phones in these models: C975, C980, V975, V980, E1000, A1000, V1050. We would urge everyone to use the latest version of SmartMoto and to flash the handsets only with files downloaded from our website. This does not apply to the backed up language packs. Please, create a backup of the full flash before actual flashing. So, in case of the wrong flashing the handset can be restored to its original state. Backup files (*.mbk) are created only for the Clip that they were made with. It’s not possible to use "restore" feature with the backup file made by any other Clip. In case of creating a backup of language pack, file will be saved in *.mfw format and won’t be bound to Smart-Clip hardware. This option allows creating a copy of language package only, when the full backup is not required. Message "Reading language pack done" appears when the process is completed. Message "Flash Completed" indicates that flashing procedure completed successfully and handset can be disconnected. Press "Backup phone flash" and follow the instructions in the log window. The message "Backup saved" informs that process completed successfully. Press "Restore IMEI" and follow the instructions in the log window. The message "Writing IMEI…OK" informs that process completed successfully. ** Tick the "Work with secondary IMEI" mark to Restore Secondary IMEI. Press "Backup FLEX" button and choose location to save flex file. Message "Done. Restarting phone" indicates that backup procedure completed successfully, handset restarts and can be disconnected. Message "Done. Restarting phone" indicates that flashing procedure completed successfully, handset restarts and can be disconnected. PC-Flash option along with support of *.pcf flash files is fully moved from SmartMoto to the SCout software. Also, flashing of the I-mode and Compal based handsets is available on SCout. For more details, please visit official SCout web site. If the phone model is supported and there is available an unbranded flash file or the model with unbranded firmware – the handset can be simply unbranded by flashing it with unbranded firmware. Don't forget to restore the original security zone (Restore security area) after flashing with backup file if needed. Software: Among the few reasons there could be corrupted PDS zone. Similar to Flashing, "Repair PDS" can be performed only if the handset gets detected by SmartMoto. "Repair PDS" option requires a constant Internet connection with Smart-Clip server. Internet settings must be the same as for Smart-Clip update. Select the phone model from the scrolling list of supported for that operation models. Message "Please write a corresponding full_flash file to phone to accomplish repair" informs of successful complete of the first stage of the process. Press "Browse" to select an appropriate full_flash file. "Flash completed" message informs on finish of the repair process. Disconnect the handset, it’s ready for use. Before performing "Repair PDS" procedure, please make sure the model is included into the list and select it very carefully. In case if the model is not listed – do not perform repair procedure, otherwise it will seriously harm the handset. So, even restore of full original backup will not fix it. For the phone models marked with asterisk (*), use a TestPoint connection method. Detailed description of TestPoint connection method is located at Unlock Manual section. Section repair PDS has an option "Quick model find" for fast search of the model on the list. Selected model is marked by a triangle. Just enter phone model in "Quick model find" window and program will automatically find it in the list. We strictly recommend making a full backup from the phone before performing a "Repair PDS" procedure. 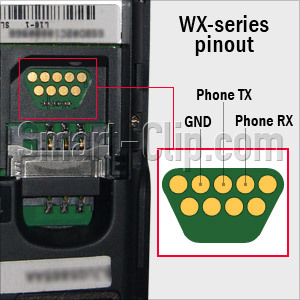 Quite frequently the Smart-Clip users are facing the problem of flash chip replacement (impossible to complete flashing due to some sectors damage, corrupted IMEI code, etc…). As before, we always recommended replacing it with the brand new one. And now we have tested another solution and found it 100% working. Good flash chip can de taken from the different not working handset, of the same model. As soon as flash chip is replaced and a new (working) one installed properly, the following procedure has to be performed. Flash with full_flash. The handset will not turn ON! Apply "IMEI repair firmware patch". Enter a correct 14 digit IMEI code & press "Restore IMEI" button. Repair PDS, flashing and IMEI repair procedures have to be performed in accordance to model instructions. Log to "Restore IMEI" tab. Chose correct model from the list. *Chi Mei models require to be connected to PC COM port via original COM data cable or using any COM port emulator. Some models require to be flashed with "IMEI repair firmware patch", only after that IMEI could be restored. In some cases flash chip on phone’s PCB requires to be replaced, to allow user to restore IMEI. However, every user that applies to this option must remember the original IMEI to be able to restore it. In any case if SmartMoto user, during phone repair process, applies IMEI that differs from the original IMEI, which was previously set with the phone, is doing that on his own responsibility. Developer of SmartMoto software does not take any responsibility for any incorrect use of that program. Select a required value in "Operation band" field. Disconnect the handset, after the process is completed. The phone is set to the new operation band. Reset of the phone frequency is possible only if the handset hardware allows to do so. It might happen that the process of band changing was successfully completed but after switching the phone off and turning it back on, the band automatically changes to the default one. This means that phone’s hardware does not support customer settings. Activate phone "Java App Loader" option – activates the Java applet in the phone menu. Enable Unicode – option allows setting the phone to receive SMS in Unicode. Set subsidy code to "00000000" – after connecting the phone, using a "TestPoint connection" method and flashing with a branded flash file, the handset may require a subsidy code to be entered. It is recommended to set the code value to "00000000" (eight times zero) before actual flashing – thus the user will be able to enter it when the SIM-card is inserted into the phone. If the code has not been reset to "00000000" (eight times zero) the handset will require unlock procedure to be performed in this case. Battery settings – for best phone performance is recommended to create backup of the battery settings before performing a flash operation and restore them after completing the flash. The flashing speed can be increased up to 20% simply by logging to Smart-Clip bookmark of SmartMoto service software and selecting "Boost mode" option. 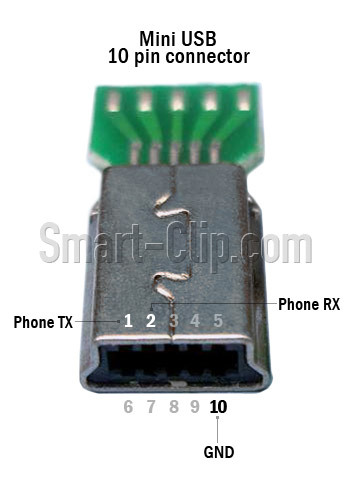 Press “Connect” button to establish an increased speed mode connection between Smart-Clip and SmartMoto. The handset is ready for Flash operation in “Boost mode”. Use of SmartMoto is required for unlock process if the phone boot version is: 6.12, 6.31, 6.36, 6.71, 6.82, 8.26, 8.A0, 8.A1, 8.D0, A.02, A.30 and higher. Detailed description of "Remove RSA" and "Unlock via TestPoint" procedure is located at Unlock manual section. Format FFS - resets all settings (including user code) to default value. Similar to "Master Reset" /"Master Clear" function for P2K models. SmartMoto resets settings to default value. * Compal/MTK models require to be connected to PC COM port via original COM data cable or using any COM port emulator. Repair EEPROM - recalculates EEPROM (similar to Repair PDS in P2K models). Should be used for the handsets that don't power on after flashing or for the units with "Phone hacked" issue. For repair purposes, please make sure that "Use default EEPROM" option is marked.